Compatible with other Digital Cameras, cell phones and devices that use the USB mini 5-pin connector. PAYMENT SHIPPING FEEDBACK RETURN POLICY PAYMENT PAYMENT We accept the following forms of payment. PayPal Credit Card Payment SHIPPING SHIPPING Usually, item will be shipped to your checkout address. If you want to change the shipping address, please email us in advance. We are not responsible for wrong or undeliverable address. Please Note NO PICK UP AVAILABLE! We ONLY post to European Countries. Once payment has been completed, we will dispatch your item/items within 2 working days by Royal Mail, mostly 1st Class Standard inside UK), normal delivery times are 2-3 working days inside UK (sometimes may take longer depending on royal mail); orders outside UK will be dispatched by Royal Mail Airmail service, which normally takes 5-8 working days to arrive inside Europe. We work from Monday to Friday, items purchased on weekends and bank holidays are dispatched the following working day. FEEDBACK FEEDBACK If you are satisfied with our item and service, please leave us positive feedback and 5 scores DSR. We will leave a positive feedback to you too. If any reasons you are not satisfied, please contact us via eBay Message or email,we will do our best to resolve it. RETURN POLICY Return & Exchange We offer 12-months-WARRANTY for all of our products, Buyers can contact us to send the defective back for exchange within the warranty period. Our warranty does not extended to any products that are physically damaged or that are not under normal operating conditions as a result of misuse or improper installation on the buyer/user's part. Buyers send the defective products back for exchange or refund at their own cost. We will be responsible for the shipping to resend replacement. If for any reason we are unable to arrange a replacements one, please do not worry, we'll refund you products price (Postage rates are not refundable). Return & Refund: please return your item within 3 days of receipt , unwanted items may be returned to us only if the following occurs: 1) We have been notified via email within 3 days 2) The item arrives back here in re-saleable condition(unmarked) Copyright 2017 gadgetown01, All rights reserved. 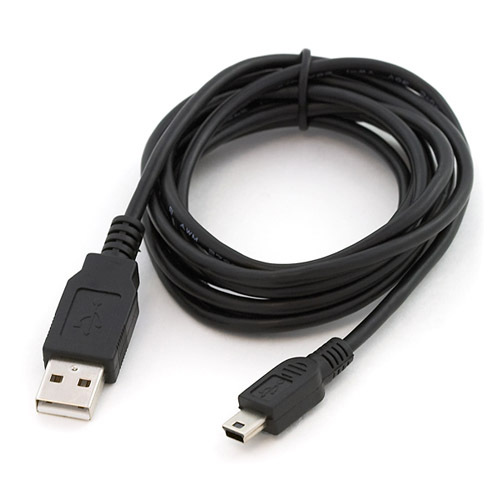 Items similaires à "Usb Data Sync Cable Lead for Canon SD200 SD30 SD300 SD330 SD40 SD400 SD430 SD450"